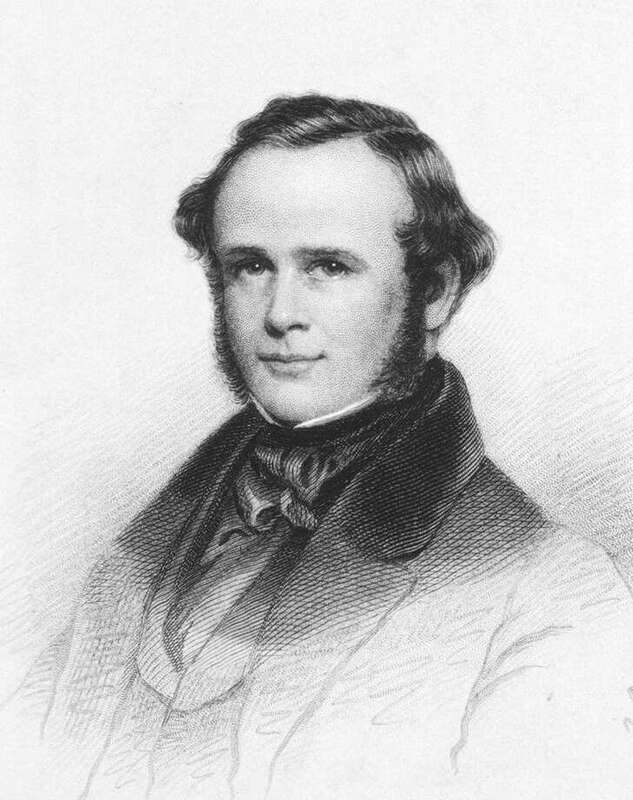 Modern anesthetic practice and Dr. Horace Wells’ personal descent into darkness began in Hartford on the same night: Dec. 10, 1844. Nitrous oxide was first synthesized in 1772. Seven decades later its potential as a painkiller in dental and other procedures had not yet been realized. Dentists and surgeons of the era operated without painkillers, using belts or assistants to hold their patients down. Often the screams of those they were trying to help was the soundtrack to their work. True to its nickname, laughing gas was not taken seriously. It was used as a recreational drug, and the demonstration Wells and his wife attended in Hartford had the feel of a sideshow attraction. But during it Wells noticed that one volunteer who inhaled the gas bumped his leg and was bleeding, but didn’t feel any pain. Wells wondered if this effect could be translated to the operating table. The next day he obtained a supply of nitrous oxide and began to experiment on himself, which was in keeping with the practice of the day. He inhaled a large dose of nitrous oxide and had a dentist colleague remove one of his teeth. Wells felt nothing during the normally painful procedure and immediately incorporated use of the gas into his dental practice. A month later, on Jan. 20, 1845, Wells traveled to Boston to give a demonstration to medical students at Massachusetts General Hospital. He enlisted the help of a friend and former apprentice, William T.G. Morton. It was a turning point in both men’s lives. The year Dr. Horace Wells first saw a demonstration on nitrous oxide, better known as laughing gas. The students and staff at the hospital didn’t take laughing gas seriously, viewing it with the same condescension some view medical marijuana with today. As Wells’ demonstration began, they watched with skepticism. Working with a student volunteer, Wells administered the gas and pulled a tooth from his mouth. During the operation, the student volunteer let out what was later described by some onlookers as a groan of what appeared to be pain. The crowd jeered at Wells. Nevermind that the patient, who was in a daze during the operation, would say afterward that he felt almost no pain in the procedure. By that point nobody was listening. The demonstration was already a debacle. “The excitement of this adventure brought on an illness from which I did not recover for many months,” Wells wrote. Forgotten in the enthusiasm for the new technique was the role Wells had played. Morton was clearly inspired by Wells, but would later claim the idea came to him independently. Wells was hurt by this apparent betrayal. In 1847, Wells traveled to Paris to petition the medical community there to recognize his contributions to anesthetics. In January 1848, he left his wife and young son in Hartford to move to Manhattan for work. He placed several ads advertising his services and began to experiment on himself with ether and chloroform. He became addicted to the chloroform. On Friday, Jan. 21, Wells’ 33rd birthday, and three years and one day after his doomed demonstration in Boston, he emerged from his room in a chloroform stupor. Taking to the streets of Manhattan, he burned two prostitutes with spray from a bottle of vitriol, another name for sulfuric acid. Other ladies of the night testified there had been similar attacks the Tuesday before. Wells admitted to the Friday attacks, but claimed the earlier ones had been performed by a friend. Mortified by his actions, he lamented being known publicly as someone “guilty of a most despicable act.” But he still demonstrated disdain for prostitutes, referring to them as “these miserable creatures” in a letter from prison. Wells managed to sneak a razor and bottle of chloroform into his cell. On Jan. 24 he doused a handkerchief in chloroform and lodged it in his mouth, securing it there with another handkerchief, then cut a major artery in his thigh with the razor blade. He bled to death. Twelve days earlier, the Parisian Medical Society had voted him the first to discover and perform surgical operations without pain. Wells died before this news reached him by letter. This article was written by Erik Ofgang. It appeared in the August 2018 issue of Connecticut Magazine.